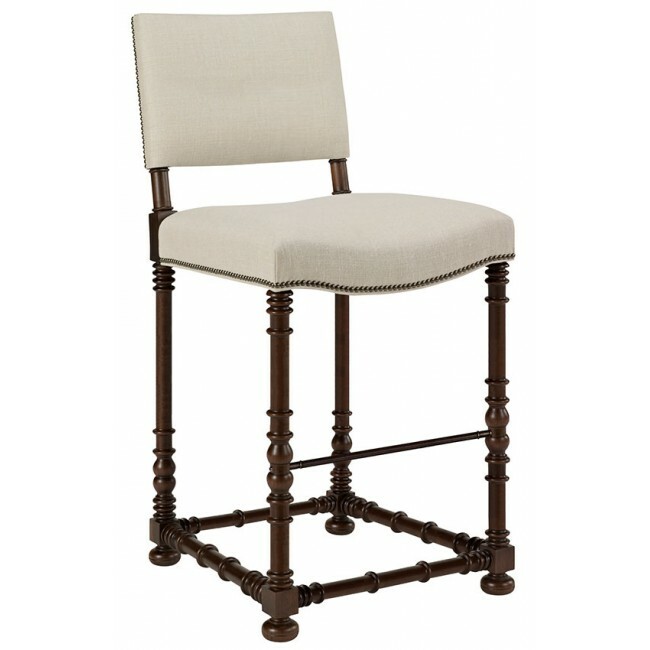 The Blackstone bar stool is a comfortable interpretation of an old-world classic. The design’s gracious saddle seat is trimmed in nail head, and its turned legs feature dramatic turnings of varying sizes inspired by antique Etruscan candlesticks. The Blackstone series is crafted from solid American Walnut and also in American Ash.